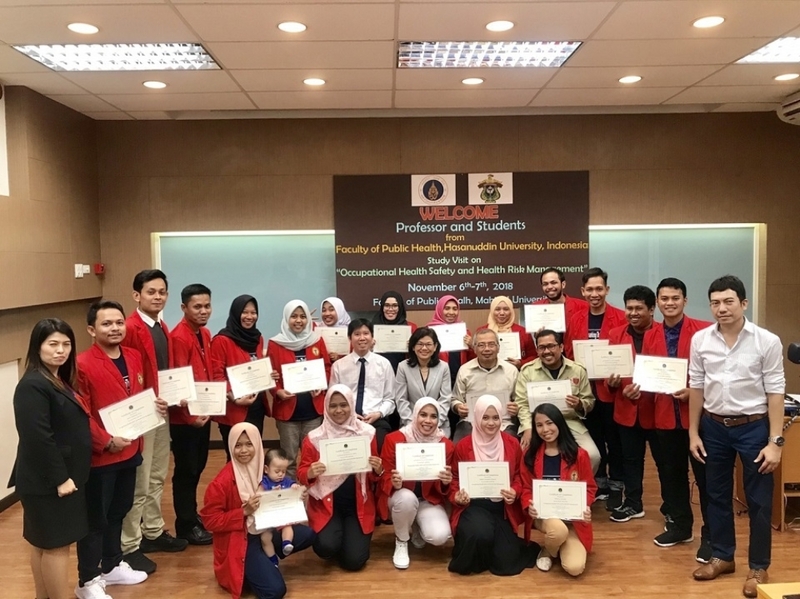 The Faculty of Public Health hosted a delegation from the Occupational Health and Safety Department Master’s Program, Faculty of Public Health Hasanuddin University, 18 students and 2 professors by providing a special workshop, “Occupational Health Safety and Health Risk Management” from November 6th to 7th, 2018. Opening Day after faculty introduction they discussed Thai Health System with Associate Professor Dr Charuwan Tadadej, Department of Public Health Administration Head followed by special lecture, “Trend and Situation of Occupational Health in Thailand by Lecturer Dr Wisanti Laohaudomchok. 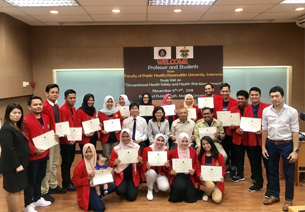 The final day they participated in two lectures, “ Tobacco Control in the Work Place by Associate Professor Dr Surinthorn Klumpakor and “Industrial Safety in Thailand” by Assistant Professor Dr Chaiyanun Tangtong Occupational Health and Safety Department Head. At the Closing Ceremony they were awarded certificated of successful completion.